Available now. 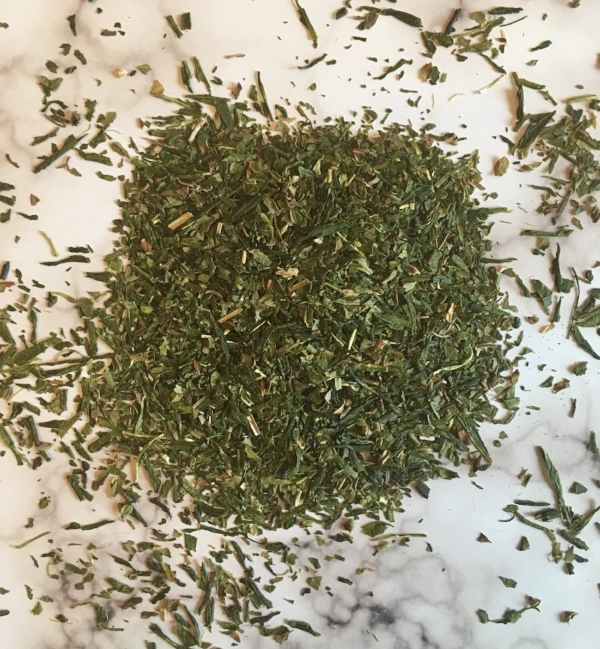 This blend is a mixture of Japanese Sencha and Peppermint. We call it Sencha Mint. The brewed tea is crisp, slightly astringent and floral. When compared to Moroccan Mint, it is more subtle and doesn't require any sweetener. And of course, it makes excellent iced tea. Cheers! Add Matcha To Your Favorite Smoothie or Shake.